Perfect trophy to reward a 180 darts achievement, these awards are crafted in durable resin with a bronze and gold colour finish. 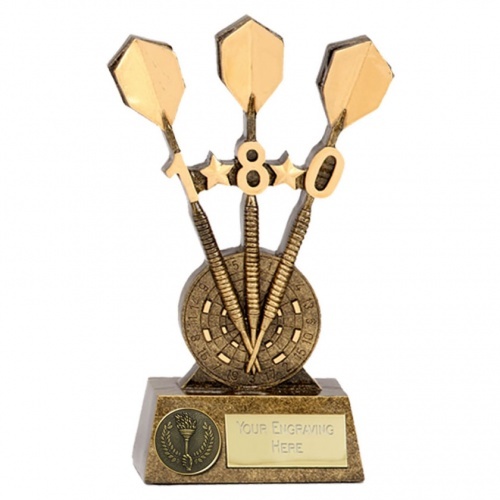 They feature three darts with a '180' legend and a darts board at the foot, mounted on a bevelled base with engraving plaque and circular achievement theme medal. They stand 7.25in (185mm) tall and are offered with engraving options.